The Naturally Good Expo will be showcasing the latest “natural, organic and healthy products” for retailers in Sydney next weekend. Billed as “the biggest trade show in the Southern Hemisphere for everything healthy”, the Expo promises “ undiluted access to all the new and exciting opportunities represented in the fast growing health and wellness retail market” including food, beverages, vitamins, supplements and beauty products. According to Brad Langton, Event Director of Naturally Good Expo, Naturally Good is the only exhibition in Australia that’s 100 percent devoted to supporting and fuelling the natural and organic products trade. “It is the barometer for where the natural and organic products market is now and where it is headed,” says Langton. Established in 2015 to meet the demand for healthier, more natural products across all consumable categories, the Expo attracted 180 companies. This year the number has grown to “350+ brands that create natural and better-for-you products”. “The Expo brings together the innovators and change-makers, serves up the newest products and emerging brands, and delivers unparalleled education and knowledge,” says Langton. Although not specifically targeted at the beauty industry, this year’s Expo will see an increase in the focus on beauty products with the introduction of a Natural Beauty and Living Pavilion where “hundreds of natural, new and innovative products including skincare, makeup, body care, personal toiletries and hair care” will be on display. “Most of the brands have unique stories behind their product evolutions, and many tick the boxes of being natural, organic, toxin free, eco-friendly, fair trade and sustainable,” he says. There will also be a Start-Up Zone in the Pavilion dedicated “to Australian natural beauty entrepreneurs who have a product ready for market but may not have ‘cracked it’ just yet”. Langton concludes that the introduction of the Natural Beauty & Living Pavilion makes the Expo a “must-attend for anyone serious about capturing their share of this growing market and using and retailing the products their customers want”. 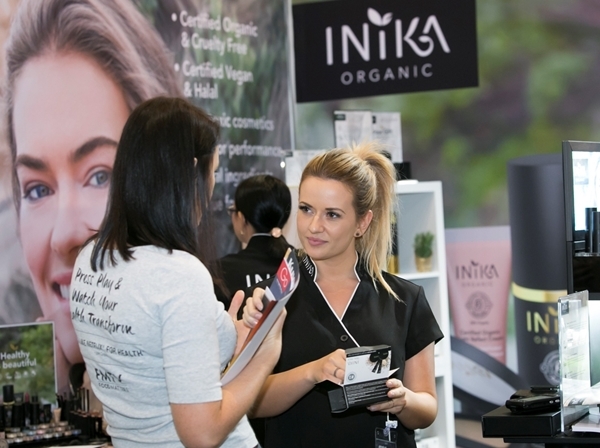 The Naturally Good Expo, which also includes an extensive seminar program, will be held at Sydney’s International Convention Centre on June 4-5. The Naturally Good Summit, “an action-packed day of focused and actionable sessions on product, channel, sales, marketing, finance, export and industry insights” will be held on the Friday before the weekend Expo.